Paintings. Oil on board. Curtis Taylor. 2008. 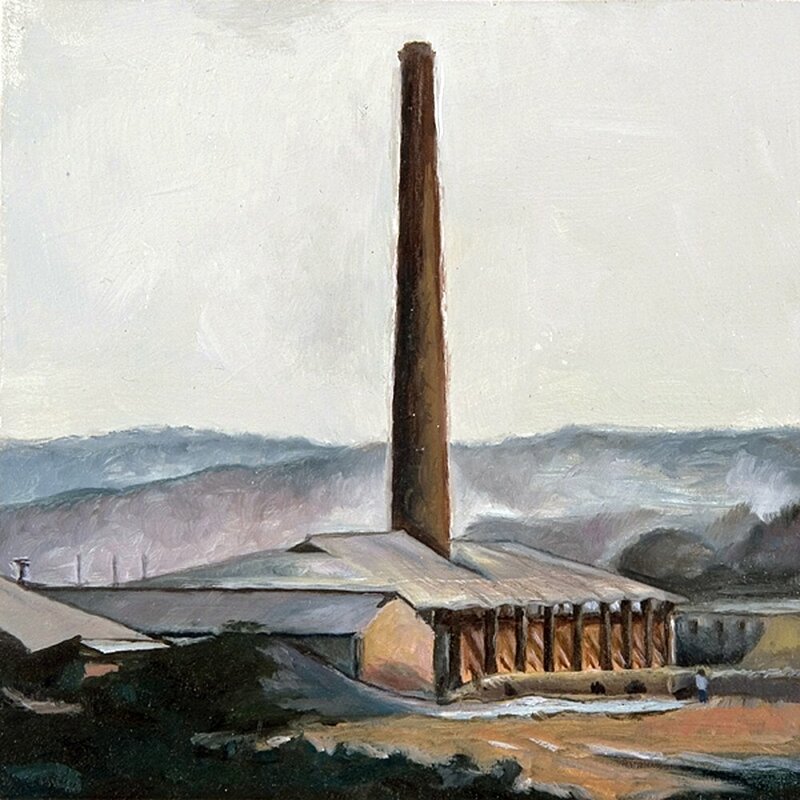 'Things Are In The Saddle' is a series of 12" X 12" oil paintings, each depicting an anonymous factory in China. 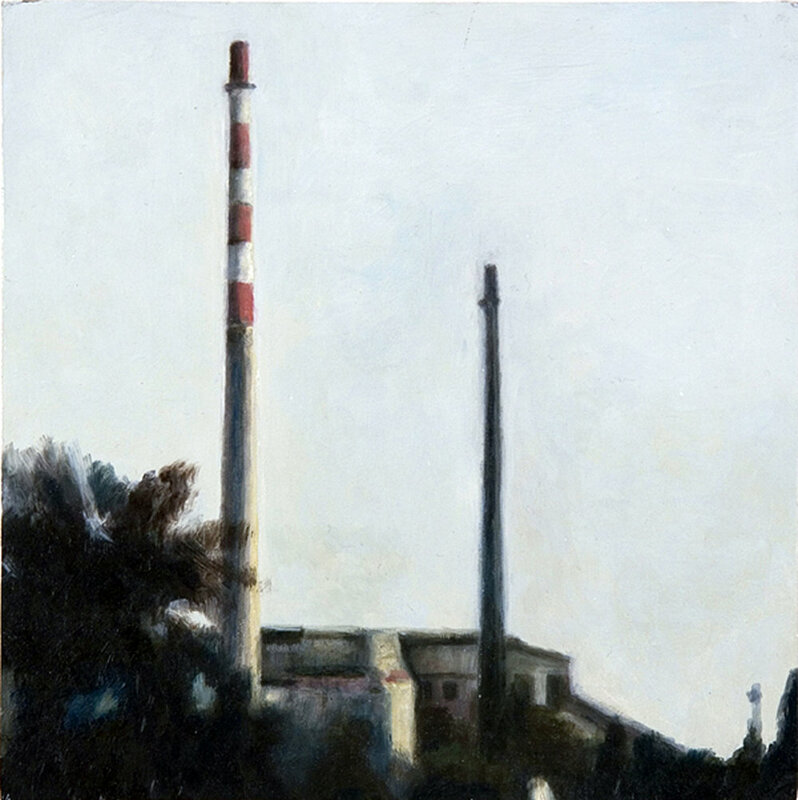 The source material are snap-shot photographs of factories taken by the artist in 2003. 'Things Are In The Saddle' is a distributed homage to the power of these buildings.